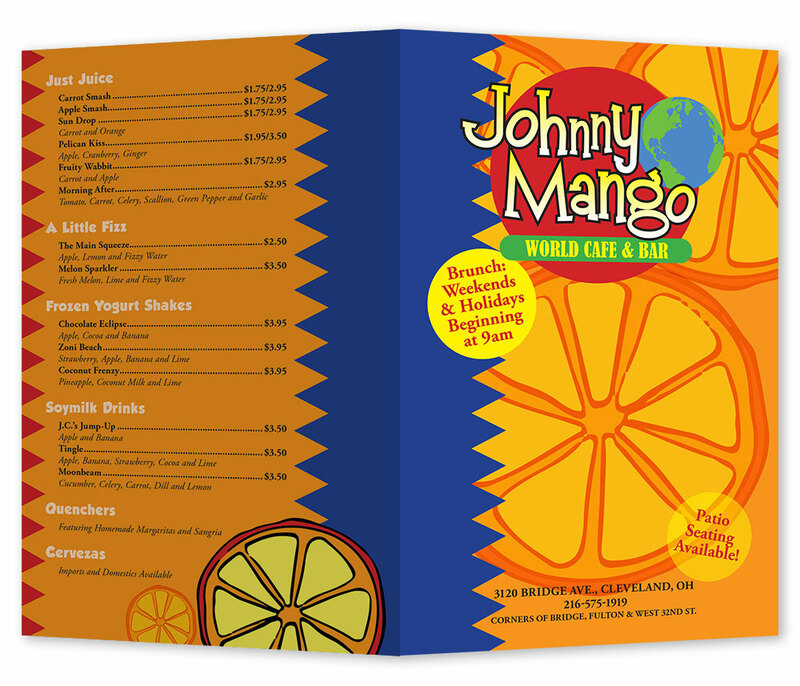 As a class project, I was asked to create a new logo and menu layout for Johnny Mango Cafe and Bar. For the logo, I chose a fun bouncy typeface, and wanted to incorporate a globe to symbolize the worldly cuisine. 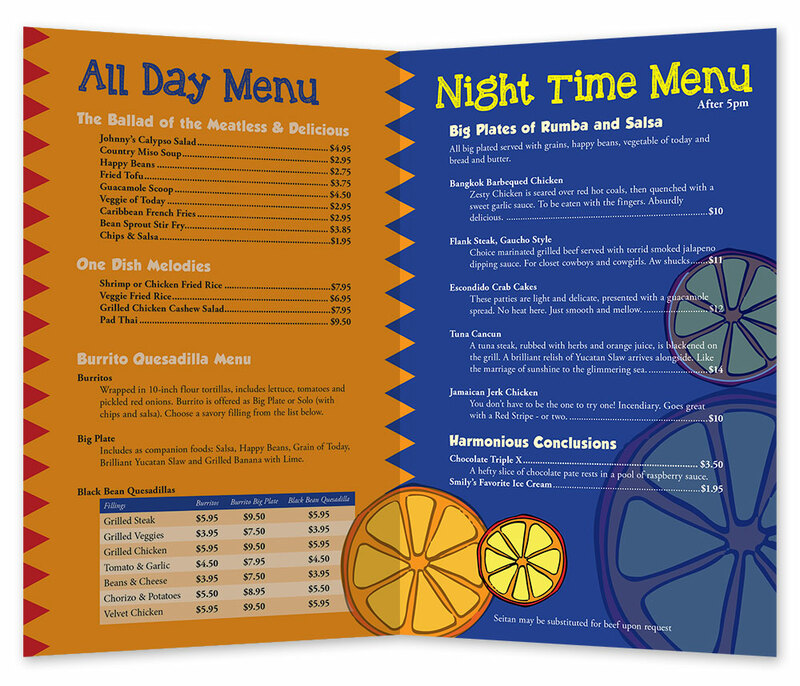 On the menu itself, I used a citrus color scheme and carried the round shapes throughout the design.